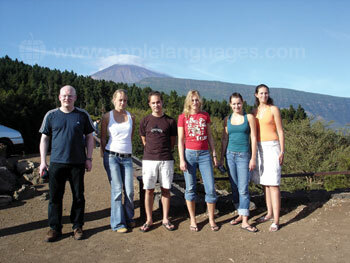 If you are looking to study Spanish under the sun, then you will love Tenerife, known as the ‘Island of Eternal Spring’ thanks to its year-round warm climate! 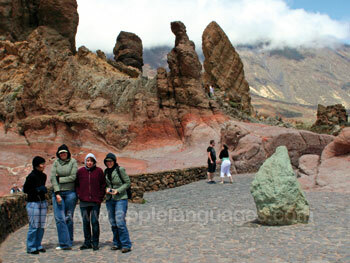 The island has many stunning natural attractions, such as the mountains of El Teide, Anaga and Las Mercedes, the Valley of La Orotava and the magnificent cliffs of Los Gigantes. Perhaps it is this combination of beautiful landscape and fantastic weather that has led to the locals becoming famous for their kindness, warmth and friendliness! This is most evident during one of the island’s many festivals and carnivals, where entire towns come together to eat, drink and be merry! 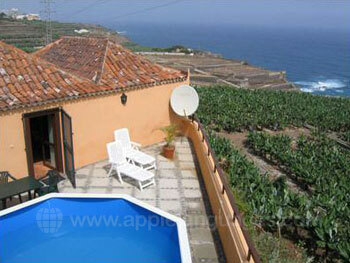 Another fantastic advantage of studying in Tenerife is that the cost of food and wine is lower than the rest of Europe. 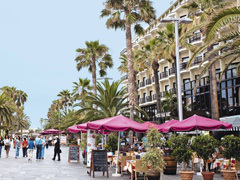 Tenerife is famed for its gastronomy, with local specialities including prize-winning goats’ cheeses and Mojo Picon (a hot sauce made from oil, garlic, vinegar, salt, and typical dried Canarian red hot peppers), as well as local wines and beers. 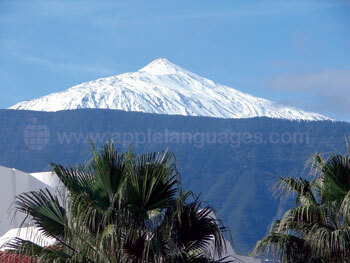 Our school is perfectly located in La Paz, a quiet residential district of Puerto de la Cruz in the north of Tenerife. 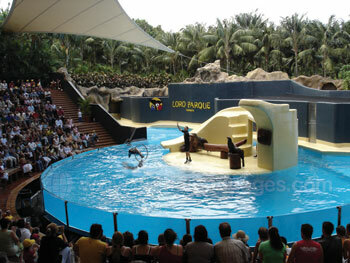 The school is opposite the famous Botanical Gardens, and is just 15 minutes’ from the town centre. Our school has exceptional facilities for students including 10 bright classrooms as well as 3 computer rooms all with high-speed Internet access. The school also has a lecture hall which seats up to 60 people, fully equipped with a video projector and Dolby Surround Sound. 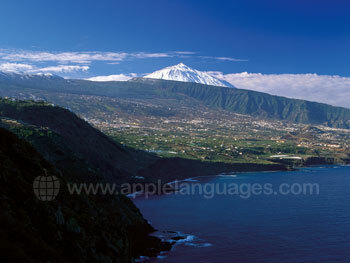 In addition to all this, the school has a beautiful sun terrace, which looks over the Orotava Valley and up to El Teide and is perfect for enjoying snacks and coffee from the school’s very own café! 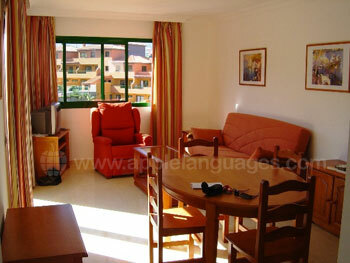 You will be spoilt for choice when it comes to Spanish language courses at our school in Tenerife! 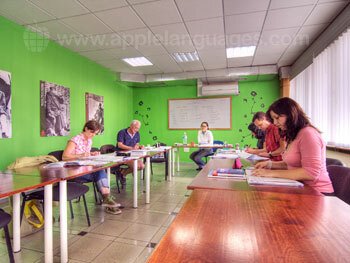 The school offers group courses of 20 or 30 lessons per week, private courses, and combined course of 20 group lessons per week and 5 or 10 private lessons per week. 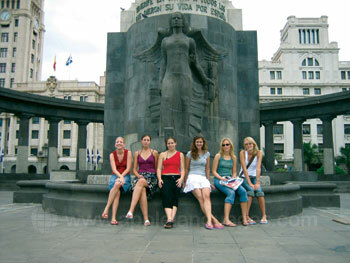 Our school also offers Business Spanish courses, teachers’ courses, and a Tourism and Hotel Business course. 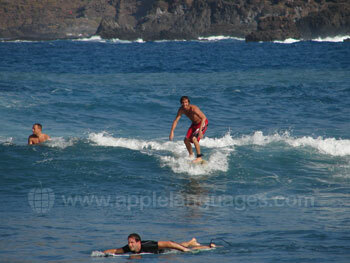 For students with a taste for adventure our school offers language courses combined with diving, surfing or paragliding! 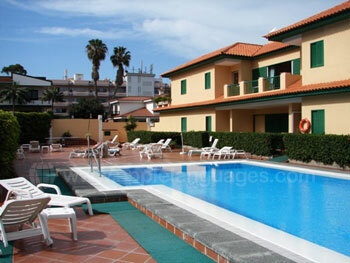 Our school in Tenerife also offers a wide range of accommodation for students. 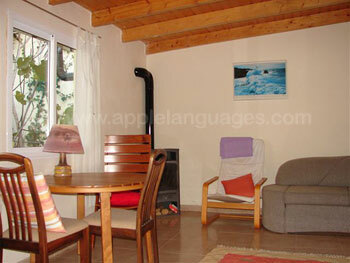 You can choose from shared apartments, individual holiday apartments, country cottages (finca), or carefully selected host families, who will welcome you into their home and will be delighted to speak Spanish with you! 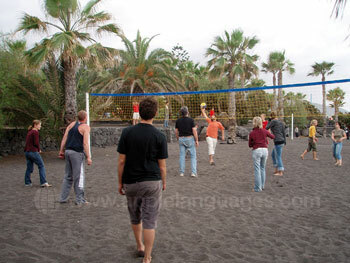 Designed to teach students about the local culture, and to allow students to socialise with each other outside of the classroom, our school’s impressive activity program includes a weekly breakfast, visits to the Botanical Gardens, surf lessons, beach volleyball and salsa and flamenco lessons amongst others! 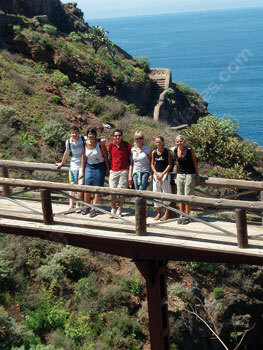 Our school also organises regular excursions to local places of interest, such as El Teide and Santa Cruz. 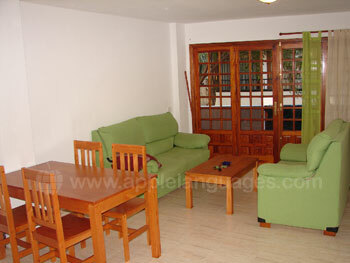 We are also able to arrange airport transfers, although these are not included in the course prices. 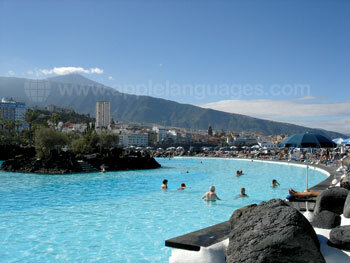 Average score for our school in Tenerife - Puerto de la Cruz based on 8 previous client reviews. 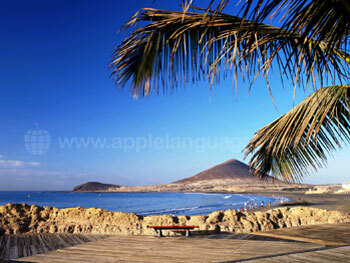 I have no regrets about the seven weeks that I spent at the school in Puerto del la Cruz! 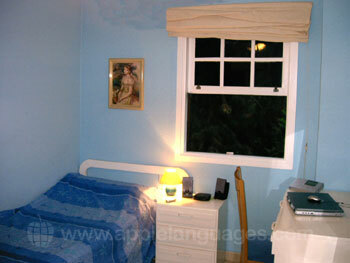 The staff were patient and kind and the lessons stimulating and interesting. 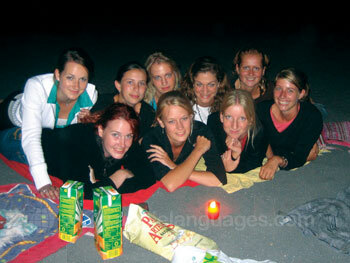 I met some interesting people and had some great experiences during my time there. Now I have to build on what I've learned. 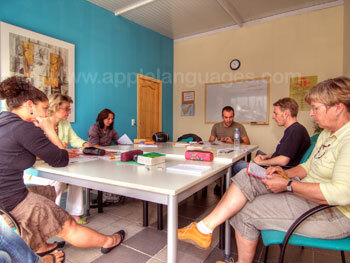 Excellent teachers, good atmosphere, flexible and supporting in case of need. FANTASTICO!! As one of the less knowledgable and with a thick Derbyshire accent I was encouraged helped and had first class attention at all times, the staff are brilliant and so friendly, a real family team! Thoroughly enjoyed the course- I spent 4 weeks there and made some good friends. 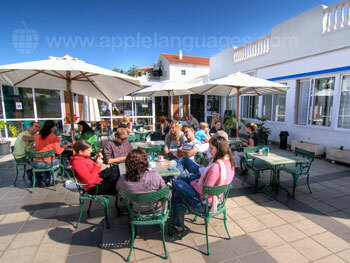 All staff and students were very friendly and all ages and nationalities mixed well. 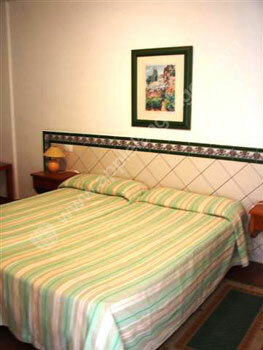 The accommodation was in a superb location just 2 minutes from the school and all the town centre attractions. I would love to go back and learn a bit more in the future. Really helpful and nice teachers! Good atmosphere in the school! Excellent location. I found the teaching extremely good. The textbooks are good and progressive, and we had also lots of handouts with work-sheets. All the tutors made me work very hard, but that’s partly because I’m a beginner, don’t hear very well, and am a bit slow picking up info. The school was great, loved my teachers, had fun in classes and learned a lot at the same time. Very personal and I always felt comfortable in the school. My accomodation was central and that was great, only 10 min to school. 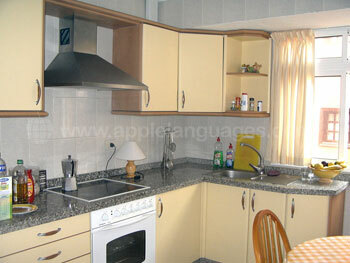 I liked the neighbourhood and the appartment was nice with big balconys. 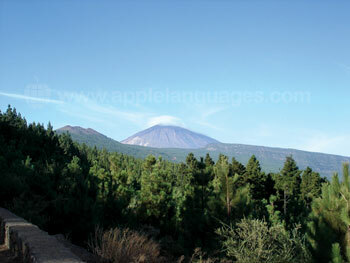 Discover El Teide and Puerto de la Cruz! 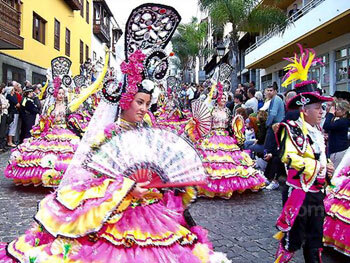 Fiesta in Puerto de La Cruz, Tenerife!